When most business owners and marketers think about their SEO strategy, content marketing and social media are two elements that often get segregated into their own unique strategies. The fact of the matter is, a successful SEO strategy demands the integration of both content marketing and social media. If you’re still on the fence about how content marketing and social media can be applied to your company’s SEO strategy, the concepts below will enlighten you on how each of these ingredients contributes to tasteful SEO outcomes that offers sustainable rankings. Content marketing is headed towards a bigger and better future this time round, according to the Content Marketing Institute. Many businesses are now keener on creating content that’s original, interesting, and relevant. And as a result, these businesses seek to attract an audience to their brand and inbound traffic to their website. However, the challenge is that content marketing still remains tricky to most businesses. If you are a business and you want success with content marketing, then your content must be engaging, original, and interesting to a specific target audience. This is why so many businesses are struggling with content marketing – they are stuck in their old ways of writing SEO-focused articles that are simply keyword rich, hoping to generate more SEO value on their website. So why is it important to evolve your company’s content marketing strategy? Survival, of course. You see, the internet cannot exist without content. And right now, search engines value great content that’s well liked on social media sites. The content you develop must meet a certain criteria, offer insights or education, or provide some kind of solution, in order to be socially respected. When all of these aspects align, search engines see your business as a credible and authoritative figure in your field. The best practices of SEO in 2014 use techniques that promote your business and brand offering naturally. Furthermore, search engines like Google will find greater value in your business when people love your content. The algorithm of Google has a way of quantifying the social media followers and social signals that a company’s website has at a given time. 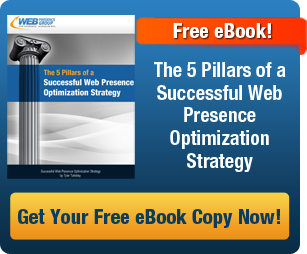 You’re overall search engine authority is influenced based on theses elements. Unfortunately, that’s not going to happen until you get your content marketing right. The 21 century consumer has a tendency of watching rather than reading. It’s also a strong theory that social media users would rather watch a video than read an article. Time is of the essence. Furthermore, social media users get bored easy, so a 1000 word article would really need to offer some serious value before it would be taken into consideration. In other words, quality videos and graphics are king of content. How about using a short video to introduce your brand as soon as someone lands on your page? How about using the same videos on social media sites like Facebook, Google+, Twitter and many others to let people know who you are? This is currently what is working for the content marketing enthusiasts out there. They’ve realized that many people are being attracted to videos or clips than before. Then your graphics come handy. People want to see your products in action, and if your videos have appealing graphics, they facilitate your message. And when that happens, the next thing is to call your audience to action and generate quality leads. This is why visuals plus descriptive text go hand in hand. For instance, if you have a law firm and you want to emphasize your brand, you’ll first create quality and unique content that shows your expertise (e.g. an informative video about DUI defense law) and you use effective calls to action to steer visitors to your website. Your law firm still can still benefit from brilliant articles to promote your SEO efforts. You could choose specific days of the week to write quality pieces of articles for your official website. To write top notch articles, you’ll need to think about everything that involves your industry. For example, you could write articles on “Why you need an attorney in case of a personal injury”, “Different types of insurance policies” etc. These are topics that people often search to find solutions, and you can capitalize on that opportunity. 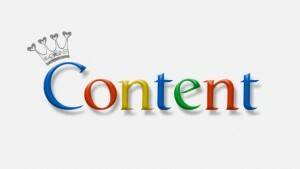 The direction Google is headed in ranking websites emphasizes a strong degree of social credibility and content creation. The businesses that are putting forth aggressive and meaningful content marketing strategies, and blending those strategies with social media, will inevitably win in SEO. It’s the game changer that’s slowly defining SEO strategies for local and ecommerce companies alike.